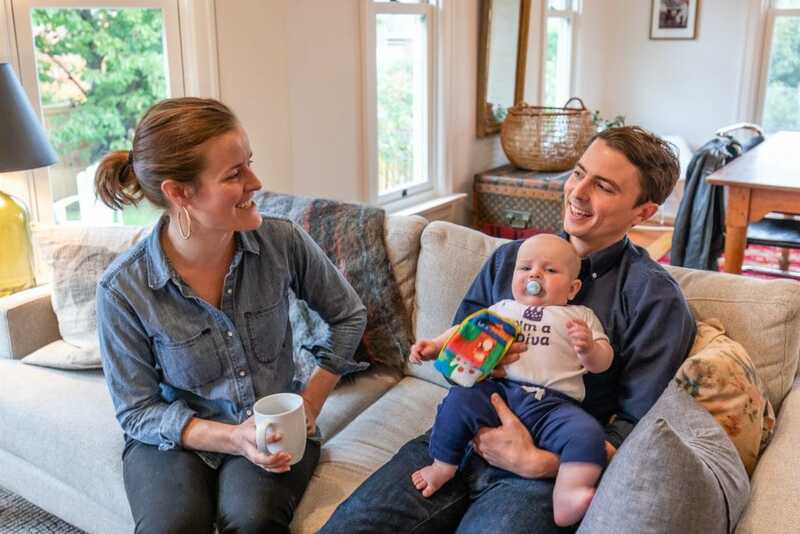 Caitlin and Andrew knew they wouldn’t be buying right away when they first walked into Team Diva HQ, but they wanted to know about the home-buying process. I sat down and gave them an hour-long crash course on what it takes to be home buyers. They took time to prepare and plan, and over a year later came back to enlist me and the team as their agents. Part of what they did to prepare was narrow down the neighborhoods where they wanted to buy a home. They were moving from Capitol Hill, an area with a lot of activity. They didn’t want to lose that, but Andrew notes that the hot market made prices in Central and North Seattle unattainable. They knew about Columbia city but I don’t think they knew anything about Hillman City. I knew they would appreciate both neighborhoods for their abundant amenities and access to transit. Still, the market was so competitive that finding an older home with good bones was no easy task. Being in a first time home buyer price point, the three of us saw a lot of homes in need of some serious TLC. Caitlin looked at their current home with Rocky the day that it went on the market. She called Andrew to look at it, too, because she saw the potential in it. I think it took Andrew a little longer to come around. It was a good price with good bones but it was pretty rough. Even being that quick, there was soon to be another offer on the home. Full cash and the buyers were childhood friends of the sellers. That night, Caitlin got one of those calls I hate to make while she happened to be at a friend’s party. I had to let her know that unfortunately, the other offer had been accepted. They were childhood friends of the owner. The next morning I was boarding a plane to San Francisco and I received a call from the listing agent saying that the other deal had fallen through. The buyer realized she and the seller were just caught up in nostalgia when they made the deal. I could not have been more excited to call Caitlin and tell her the news. I let them know the house was theirs if they still wanted it. (You bet they did!) The nice thing about working with us is we are a seamless team. Since I was on my way out of town Roy stepped in and handled the inspection while I was away. 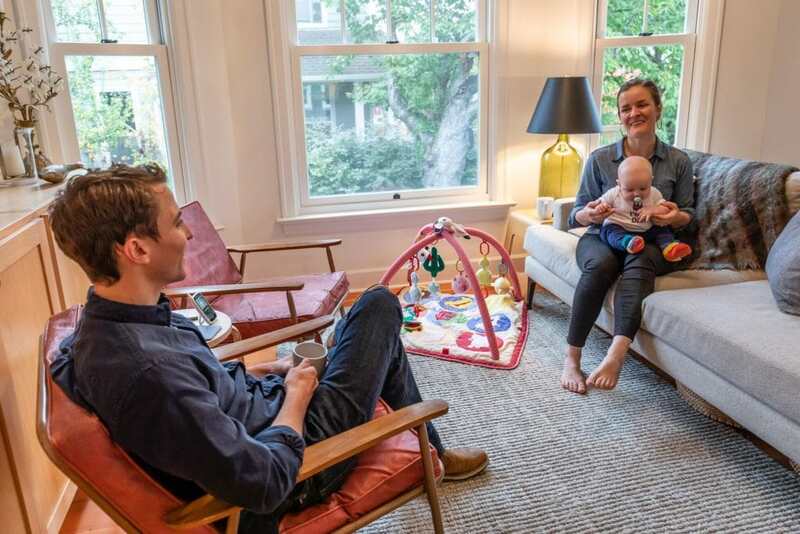 The house has changed thanks to their hard work, but they have changed while owning the home, too. And not just because they are now parents. Caitlin says, “I think because we have put so much work into the house, I feel way more attached than I anticipated.” She grew up moving a lot with her parents, and learned to enjoy the moving process. But now, when the concept of moving has come up in conversation, she can’t even imagine leaving the home. I must say I was in awe when they invited me over for dinner after they finished the kitchen remodel. It was beyond anything I expected. “Working with Rocky and Roy and the whole Team Diva group was just super fun, and they made what can seem like a slog of a process—of going out on Saturdays and evenings [to view houses]—just kind of pleasant all around.” Even Ada, the four-legged member of the family got in on some house hunting action.